In my head, I’m calling this “Synthesis:Weave, the rewritening”. With the sequel to Synthesis:Weave completed, I decided to reread the opening chapters of the first book and change a few details to match alterations I made in the sequel. 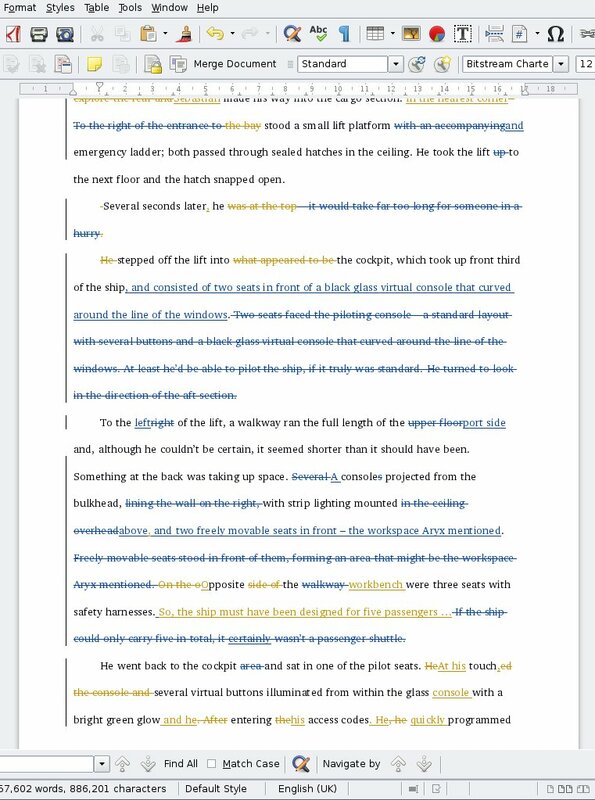 My writing has come along in leaps and bounds, and the original Synthesis:Weave felt clunky to read, so I set about tightening up the text to increase the pace. Hardback and paperback editions of the book have now been made out of print in preparation for the re-release, but you can still purchase the original on Kindle. When the rewrite has been published, it will be available in both formats once again, but the Kindle edition will not be automatically updated. I contemplated pushing the updated version out to the Kindle, but hear that many readers get upset by having drastic changes made to a text they have already purchased. Instead, the rewrite will be linked to the original as a second edition and readers who want the updated text will need to contact Amazon customer services to get the new edition pushed to their Kindle account as I don’t believe Amazon will allow a second purchase.